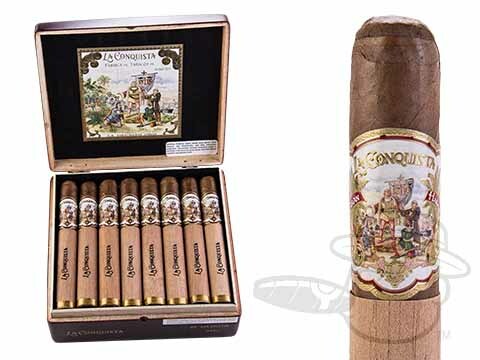 La Conquista Gran Robusto by Gran Habano was rated 90 by Cigar Aficionado! 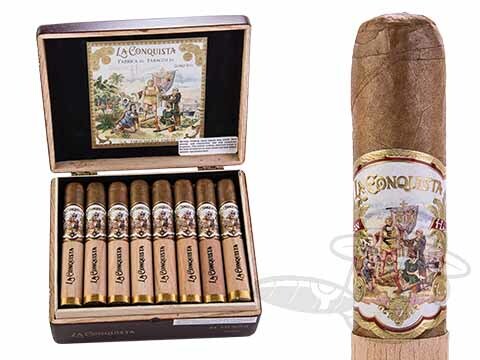 Medium-full in body, La Conquista cigars present a captivating blend of Nicaraguan, Costa Rican, and Colombian tobaccos wrapped in a earthy and spicy Corojo leaf. These strong and tasty smokes offer dense notes of leather, cedar, bread, and spices, all presented through the generous creamy draw you’ve come to expect from Gran Habano.